If La Verne’s business pulse seems to have quickened, it’s because Chamber President and CEO Brian McNerney moves faster than a New York minute, a chop-chop pace fueled no doubt from his growing up in the Richmond Hill section of Queens, a New York City borough that also gave us Yankee Phil Rizzuto and “I get no respect” comic Rodney Dangerfield. But unlike Rodney, McNerney gets plenty of respect from every business official and government poo-bah whom he meets. A gregarious people-person who’s never quite lost his Irish lilt, he’s the force behind a number of stellar La Verne events and attractions, including the annual La Verne/San Dimas Chambers of Commerce Golf Classic (April 30), the Celebration of the Arts (May 2,3), and the Taste of La Verne held in the fall, to name a few. If you want to get on McNerney’s good side, just mention the “P” word, just about any “P” word. “Proper preparation prevents poor performance,” McNerney said. He didn’t invent the phrase, but the Irish didn’t invent potatoes either, yet they still get all the credit. Other pleasing “P” words favored by McNerney are “pride,” “passion,” “people,” “products,” “pricing,” well, you get the idea. Before taking the helm of the La Verne Chamber, McNerney was an office equipment man for 18 years and more recently a “smart house” consultant. In other words, he can show you how to turn your lights on and off with a programmable remote. “I’ve been in sales and marketing my entire life,” McNerney said. McNerney is hardly a one-man band, however. He is ably assisted by Annette Leonard, without whom the Chamber could not exist. She earned her Chamber stripes working for the San Dimas Chamber. If the phone rings twice before she picks up, it’s probably because she’s working overtime with La Verne historian Galen Beery and others planning the La Verne Chamber’s 100th anniversary celebration in June. 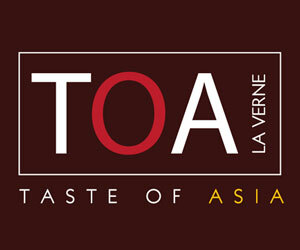 La Verne is one of the few Southland communities in the last quarter to show increasing revenues, but McNerney wasn’t about to take any of the credit. That would take too much time. Remember, he’s from New York, where performance is measured in minutes, not days or hours. 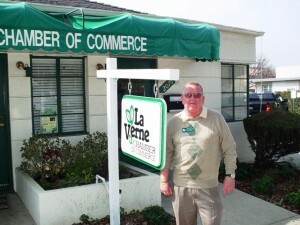 To contact Brian for help in bringing your business up to the minute, call the La Verne Chamber at (909) 593-5265 or via email at ceo@lavernechamber.org. Although the article was brief and yet concise, what it lacked was giving credit to both Brian and Annette for the atmosphere that they equally create. Having been members of several Chambers of Commerce, I can speak with some authority regarding effectiveness. The unique trait to the LaVerne Chamber is the wonderful mix of talent and concern displayed by its leaders. Ego and position are replaced with doggedness and tenacity of purpose. Venturing into the Chamber office(which I frequently do), one is met with an acknowledgment, best described as, a visit to a family member. Calm and purposeful, both Brian and Annette lead with their hearts and support those rare traits with equally great senses of humor. Any success enjoyed by the LaVerne Chamber is a direct result of these two wonderful people. There a very few things that MTOClean would not gladly do for either.